It's the absolute worst, they said. The worstest. 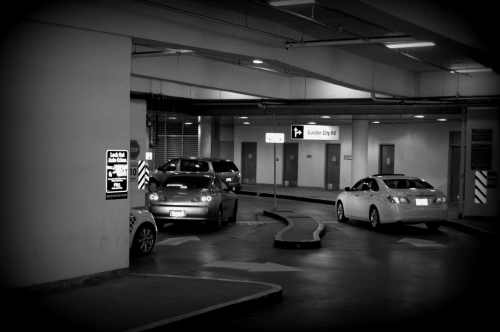 In fact, no other parking lot got so many worsts. "Crystal Mall, Burnaby. Hands down WORST," DJ_Emiko tweeted. "Worst design ever," @DennisPang chimed in. 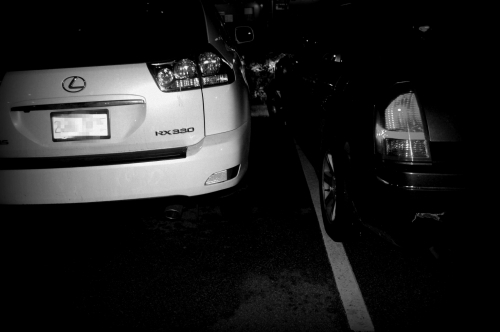 Some readers claimed that they "always get lost in there," while others said that it's "impossibe to park" and that they always feel like they've "double backed." 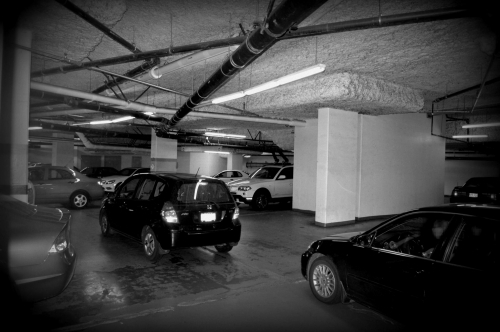 The circular parking lot is just an all around bad idea, everyone seemed to agree. "I feel like that the design only multiplies the likelihood of Asian car accidents," @CyndiCheng said. "The round ramp leading down to P2 is a death trap," @BlenzAlma warned. But I went anyway. As a non-driver, it was nearly impossible to enter the "trap." But, then again, maybe I was already in it. I tried my best to photograph something and get out alive. 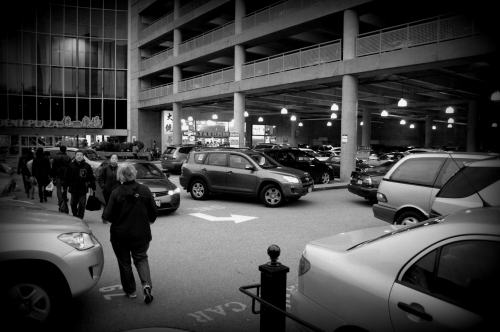 "YES, Aberdeen's parking lot is truly atrocious, puts most others to shame," @DennisPang added. At first glance, it didn't seem like it should belong on the top five worst list, and, like, what the heck is Yelp Canada talking about? And then I moved in closer. One word: packed. 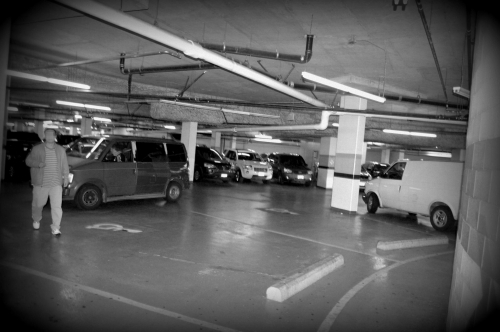 Even the people walking through the car park seemed to be frightened and on edge. The patch of green grass somewhere in the corner was as far as I got. "I ragequit that lot so many times..." @ac3y said. Honestly, it didn't make me ragequit, but it did make for a great photo. "You better check out the Richmond Public market, as well. Don't understand the difficulty there..." Peng said. Neither could I. 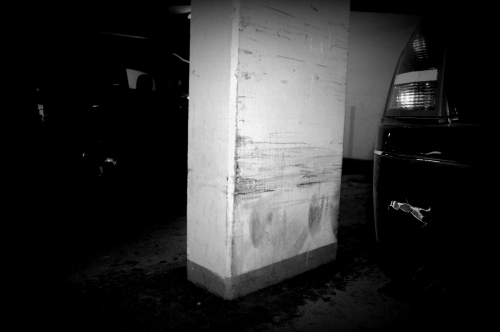 But I'll let the black marks on the pillar speak for themselves.